27 State House Democrats announced the formation of the Blue Dog Democratic Caucus Monday. 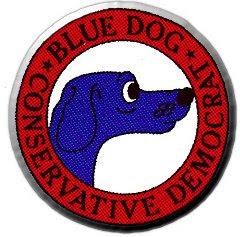 The Blue Dogs say they represent a group of fiscal conservatives that want to create a streamlined state government "that provides essential state services within existing budgetary constraints." Springfield Rep. Charlie Norr is a member; Rep. Sara Lampe is not. "The Blue Dog Caucus is committed to bridging the gap between the partisan and ideological extremes that have caused gridlock in Jefferson City," said Rep. Sam Komo. "We are conservative and moderate Democrats committed to protecting working families and small businesses. We believe that by being fiscally conservative we can make our tax dollars go further and do more without placing additional burdens on Missouri taxpayers."